Expand your creative mindset with type. 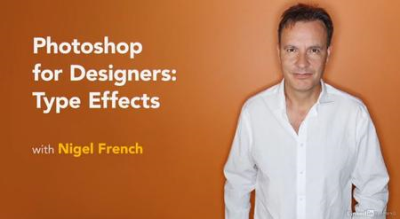 In this installment of Photoshop for Designers, instructor Nigel French shows how to create a range of beautiful type treatments using efficient, nondestructive techniques. Nigel describes how to combine letters and imagery and how to illustrate ideas with type, often with just a few tweaks to the letterforms themselves. He also shares techniques for creating damaged and distressed type; adding light and smoke effects to your type; entwining letters with a vine; fashioning portraits and maps comprised entirely of type; creating nostalgic type treatments; and much more.